December 7, 1941, was a beautiful day. On board, the USS Oklahoma, Navy Seaman 1st Class Joseph M. Johnson, and over 400 crewmembers were aboard when the war began. 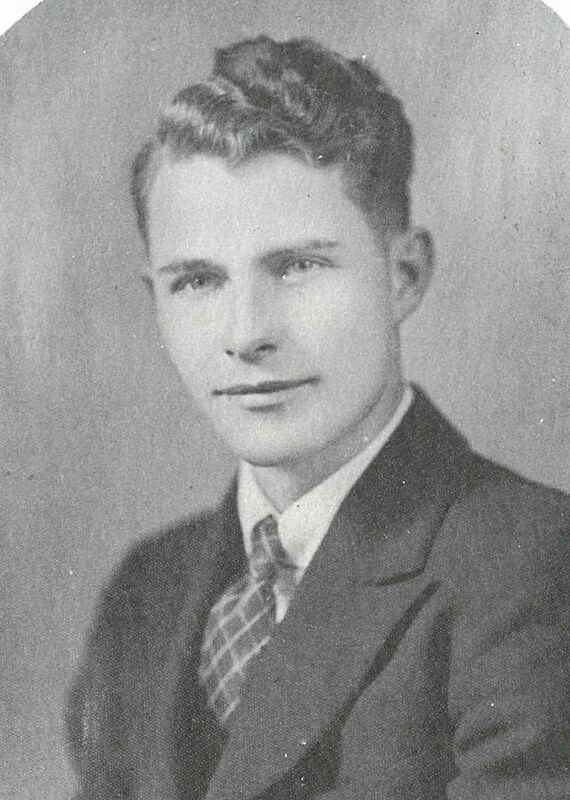 Japanese aircraft attacked, their torpedo hits causing the US Oklahoma to capsize, killing 429 crewmen, including Joseph M. Johnson, of Rushford, Minnesota. He didn't start out in Rushford. Joseph, everyone called him Joe, moved to Minnesota from Columbus, North Dakota (Northeast of Williston along the border with Canada). in 1932, graduated from Rushford High School, played near every sport and was in the band. Joseph Johnson - Click for larger version. When it started to look like war, Joe enlisted in the Navy. He was 22-years-old. And then the attack, and then his death, and a letter to his family, informing them Joe was killed in combat. But his body would not be returned, it was such an awful mess there, it was often impossible to tell who was who. Joe and many others were buried with honors, unidentified. The Defense POW/MIA Accounting Agency asked Joe's last living relative for a DNA swab. The government agency had begun identifying the soldiers killed on December 7th, so Joe was identified and will be heading home soon. If you'd like to pay your respects, you are invited to the tribute on July 7th at the Rushford Lutheran Church at 1, then the service at Rushford Lutheran Cemetery. Information for this blog from Hoff Funeral and the Defense POW/MIA Accounting Agency.